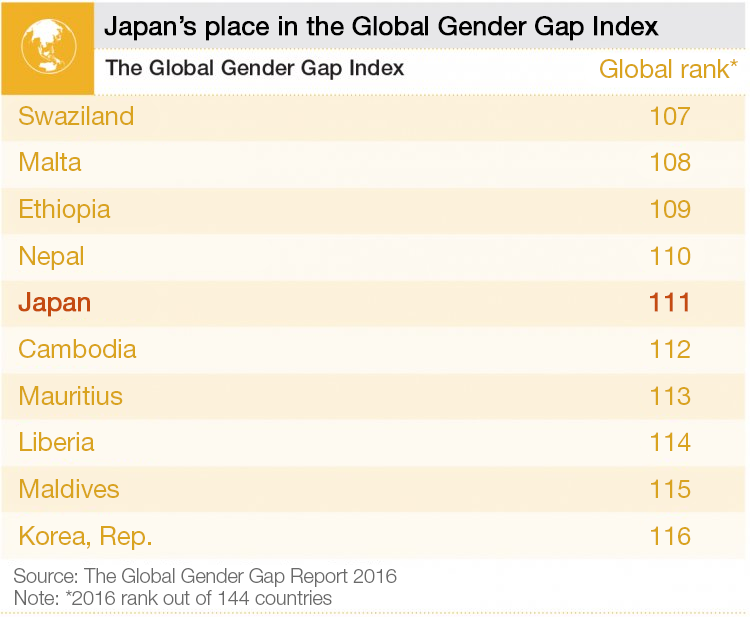 The gender gap has been a hot topic in Japan for some time. The country has performed poorly in the World Economic Forum’s Global Gender Gap report, ranking at just 111th place in the 2016 edition , while a Gender Parity task force is working on closing the gap . I propose a shift away from the rigid, outdated mould that divides life into three stages - education, work and retirement - and towards a much more flexible and adaptive approach . Instead of passively moving from one stage to the next, people should be able to actively decide when and how they join the labour market. 1. Make work flexible to accommodate the needs of the time Technology enables people to work from anywhere at any time. Rather than coming to the office at certain time in crowded trains and staying long hours just to keep face time in front of the boss, parents can take time to care for their children and/or the elderly members of the family. The technology has long been there to make this possible; we now need a shift in working culture. 2. Encourage the lifelong learning of new skills When a flexible work style is adopted, individuals, regardless of age, gender and background, can continue learning new skills and acquiring knowledge when needed. They can apply these skills to projects offered by companies, instead of following rigid full-time jobs. They can make use of the expertise they build up across various projects, without having to find a single “right” job. Each one of us should be able to design own career and lifestyle so that they are fit for purpose at any given time. 3. Make recruitment more flexible Companies can benefit from this ecosystem by recruiting people with skills and knowledge they need for certain projects from a much bigger market, on a global scale, without worrying about long-term commitments to full-time employees. 4. Make space for trial and error Change on this scale requires a series of experiments and a trial-and-error approach. Companies need to develop the capacity to define tasks and projects, and to evaluate the output by their own criteria. Individuals need to learn how to manage their time and cultivate self-discipline to deliver work on time. Face-to-face contact, critical for ideas and prototyping, may need to be designed in. 5. Find the right policies The social security system and government policies need to undergo change, to accommodate and monitor these new ways of employment and to fund life-long learning.